In 2016 the Police and Crime Commisisoner carried out a survey with members of the public to help inform his new five year Police and Crime Plan. Here you can read a summary of the survey results. 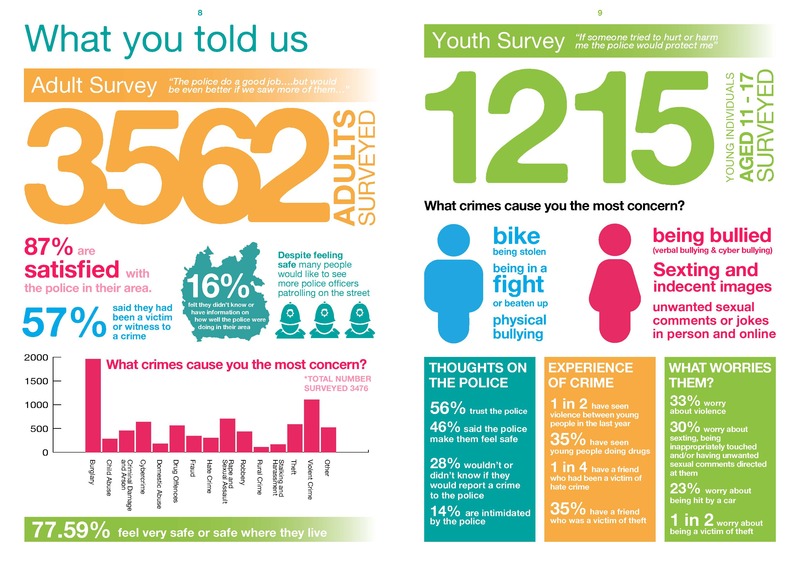 This includes results of both the adult survey and young peoples survey. The new Police and Crime Plan was published in March 2017.